Law enforcement is still working to put together the facts surrounding the massacre in Las Vegas. There are still significant mysteries that surround the gunman. But the Las Vegas sheriff made a statement about the shooter acting alone that just changed everything. In the aftermath of Stephen Paddock murdering 59 Americans and wounding hundreds more, questions arose as to how he planned and carried out his murderous ambush with military precision. Did he have help in planning the attack? 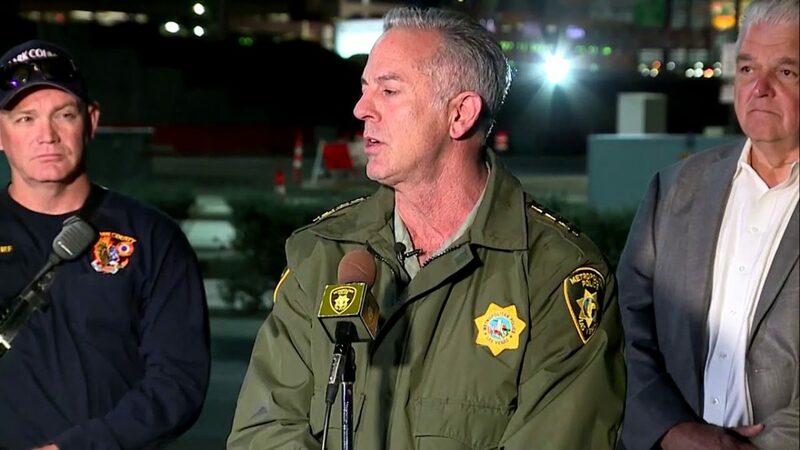 Las Vegas Sheriff Joseph Lombardo hinted he may not have acted alone. “Officials also believe Paddock may not have acted alone. Speculation has been surrounding Paddock and his motives since he carried out the deadly massacre. Sheriff Lombardo had previously hinted that Paddock had been radicalized by an unknown individual. Was anyone else involved in the shooting? Paddock’s girlfriend traveled to the Philippines the week before the shooting but she has told family members she has a clear conscience on the matter and had no involvement. But based on Sheriff Lombardo’s comments, the police believe someone else – at some point – may have been involved in helping Paddock prepare or train for his killing spree. Did Paddock receive assistance or training in planning this attack?